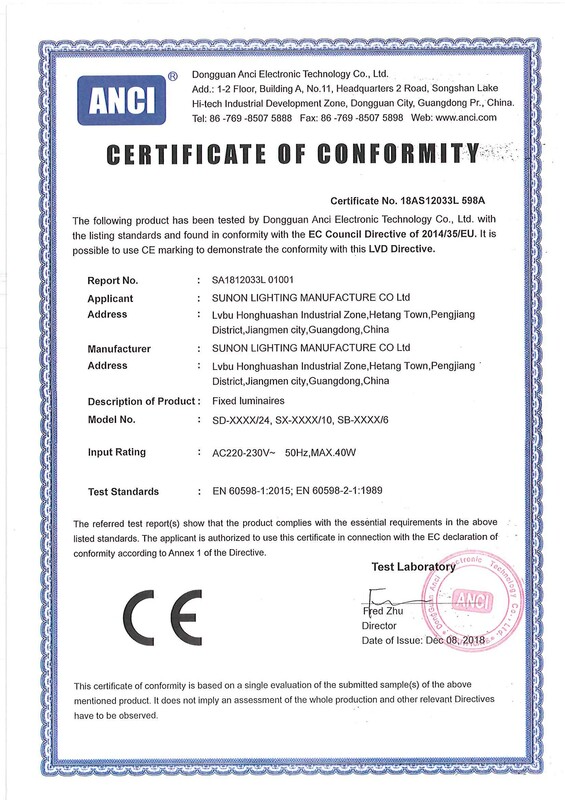 Company Overview - Sunon Lighting Manufacture Co., Ltd.
9YRSSunon Lighting Manufacture Co., Ltd. Welcome to Sunon Lighting, where we blend generations of design experience with an aesthetic relevant to today. 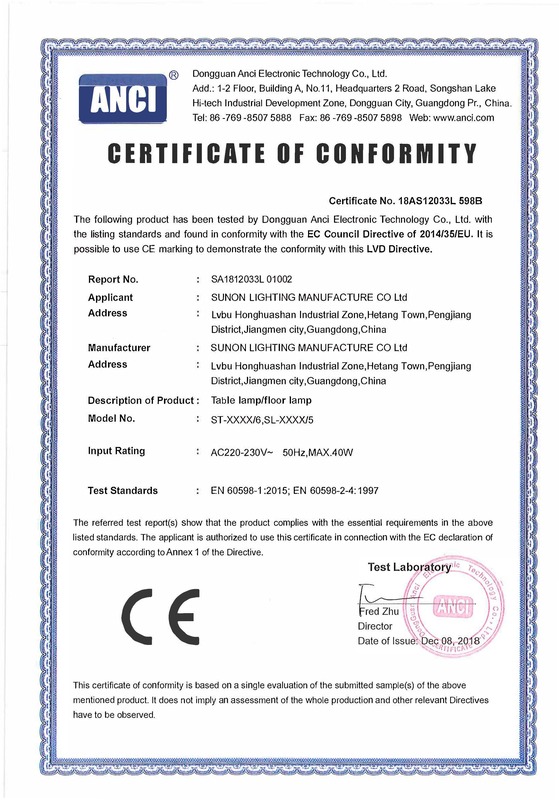 Our iron flower chandelier collection has been making beautiful lighting for about 20 years, and we remain strongly connected to interior designers and homeowners who desire a broad range of classic, tasteful and elegant lighting.Sunon lighting is specialized in manufacturing and designing chandeliers, wall lamps, table lamps and stand lamps. 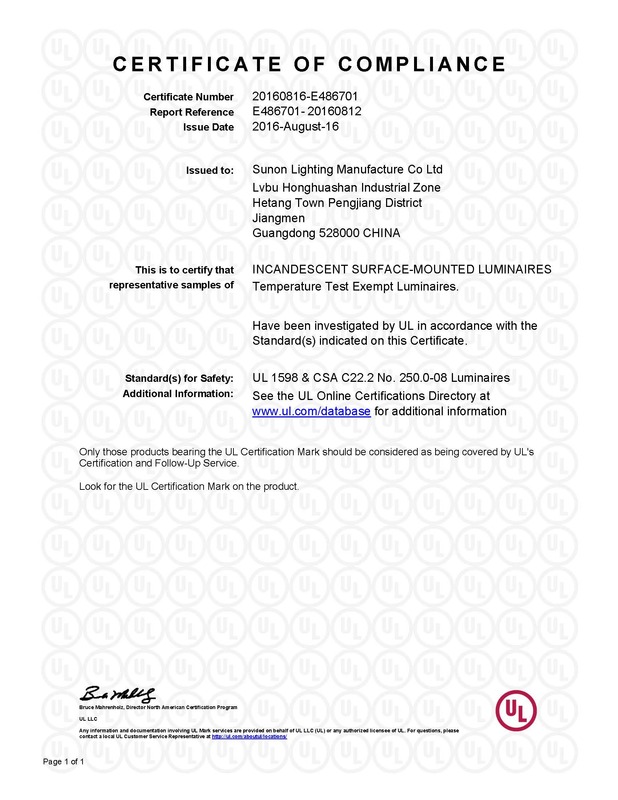 We have a wide range of richly-decorated lighting, which are very popular in European and American markets with CE or UL certificate. Throughout the generations of different styles and trends, we have stayed true to our design core, utilizing the finest quality materials combined with a devotion to premium craftsmanship. The result is lighting that will remain timeless.